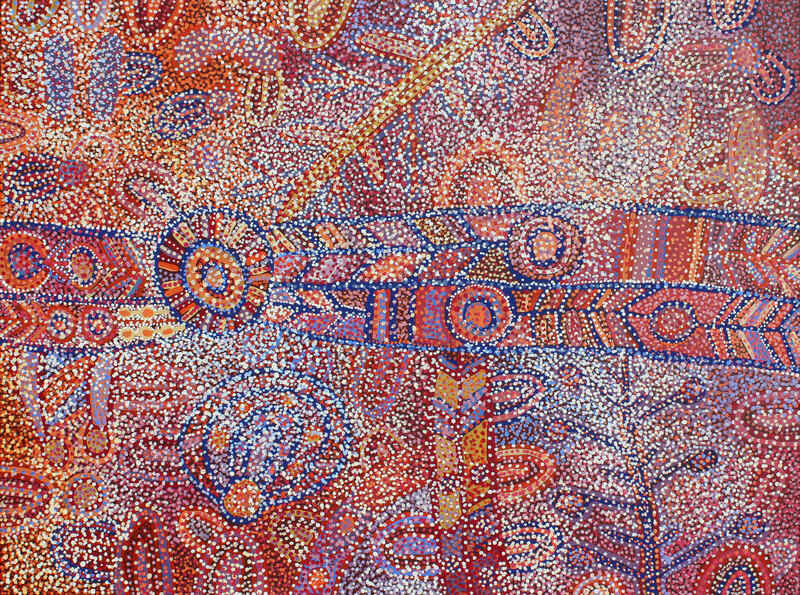 Ngupulya Pumani paints Antara, an extremely important site for Ngupulya and her family. Antara is Ngupulya’s mother’s country. This place, and its significant Maku (witchetty grub) Tjukurpa were a constant in the paintings of the late Milartjari Pumani. Today Ngupulya an dher younger sisters Betty Kuntiwa Pumani are proud custodians of this country; they map its significance and hold its stories strong in their paintings of Antara.